The Racing Category is a Huge Market! If you have ever wanted to launch your game in this category with a really high quality source code, now is the time! 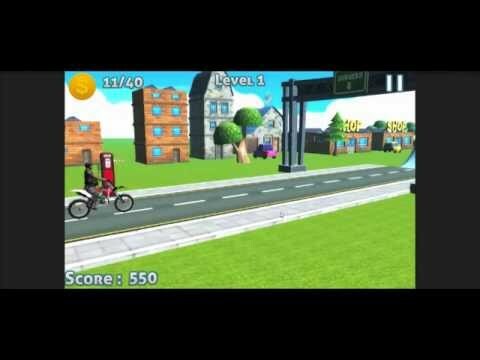 We present to you the Bike Racing Game project exclusively on Game Gorillaz! 3) Level based games allow you to keep higher user retention and more opportunities for ad placements. Android and Apple Version included. You can always port it into all major stores that Unity supports. There were some Compatibility issue with iOS 8.4.1, Support team was able to sort it out in no time. Very nice source code, with complete tutorials but I wish Leaderboard be integrated in the next version.